Pioneer Magnetics, Inc. represents six decades of AC-DC, DC-DC, rectifier and inverter switchmode leadership, service, innovation and invention. Pioneer Magnetics, Inc. provides high-quality AC-DC, DC-DC, rectifier and inverter switchmode value-added switching power supplies, power systems and engineering support to original equipment manufacturing companies as well as to the end user. PMI’s product sizes are typically 1U, 2U and 3U. Custom sizes are also available for switching power supplies. Pioneer Magnetics, Inc. AC-DC switching power supplies are isolated and Non-isolated. Please contact our sales team today for all your switching power supply requirements. 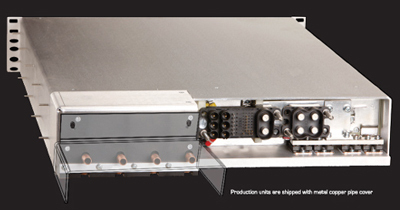 Pioneer Magnetics, Inc. produces a platinum grade liquid cooled power supply. With optimum power density, excluding the input / output interface, water connection, input fuse case and holdup time, these liquid cooled power supply units are featured with liquid cooling and built-in protection from electrical over-loads and over temperature. Pioneer Magnetics, Inc. has the expertise and manufacturing capabilities to configure its liquid cooled power supply products to meet most non-standard applications. We would urge you to visit our liquid cooled power supply catalog on line or call our highly skilled staff at 800-269-6426.